Are you looking for a local Staten Island Web Design company? 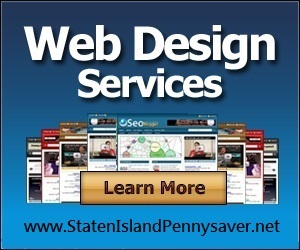 The Staten Island Pennysaver is more then just an online advertising and community platform as we changed with the times and have a talented team of web designers, online marketers, and SEO experts. Our Staten Island website design experts can provide you affordable website design services to give you an amazing website without breaking the bank. For new businesses or companies that don’t have a website, we have the perfect website design and marketing package or you. AND – Premium advertising in the Staten Island Pennysaver including an article write-up about your business! Our website design and advertising package gives you everything you need to get your website online, hosting support and maintenance to keep you online, and advertisements to drive traffic to your business. All this by Staten Island web designers and marketing experts that are dedicated to the success of your business, and the long term relationships with those we serve. If you are looking to work with a great Staten Island website design company that can also assist you with advertising in Staten Island then our team at the Pennysaver, and our parent company 10Tier.com can help you. We help local businesses create amazing, affordable websites and then provide the ongoing online marketing and SEO to grow your business. We have been providing website design and online marketing services to the businesses and people of Staten Island since 2004! Please call us now if you have been looking for a Staten Island Web Design company to learn why we would be the perfect company to partner with. Call us toll free at 800-959-2659 or use the contact us page to send us an email. We want to you why we are the best Staten Island Web Design Company helping Staten Island business owners and entrepreneurs start and grow their business online!